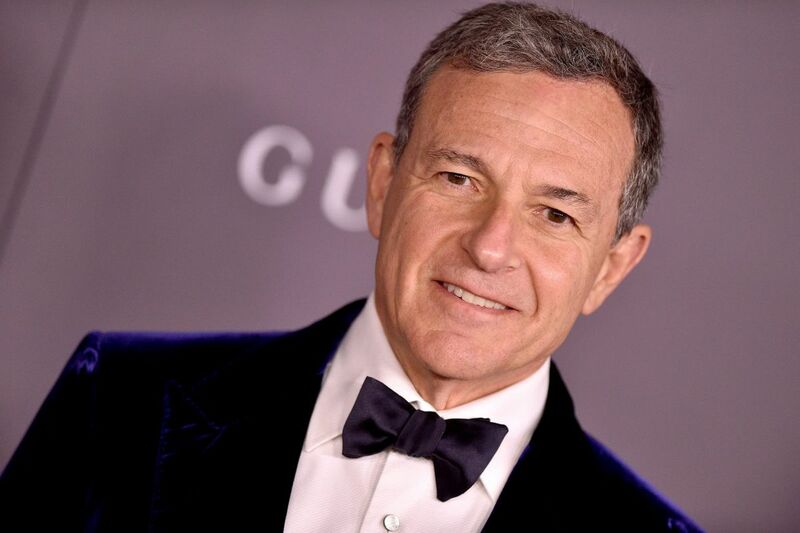 Disney chief executive Robert Iger is said to be close to acquiring several assets from 21st Century Fox. Comcast said Monday that it was "no longer engaged in the review" of 21st Century Fox Inc.'s assets. Walt Disney Co., however, may announce a deal as soon as this week to acquire large pieces of Fox, according to a person close to the deal. Disney would acquire Fox's movie and TV studio, networks including FX and National Geographic, and international assets including Star India's TV channels and a 39 percent stake in European satellite provider Sky Plc. Disney would also get Fox's stake in U.S. streaming-video provider Hulu, doubling its ownership to 60 percent. 21st Century Fox would keep Fox News, the Fox broadcast network, and Fox Sports 1. The company would remain independent at least initially, though it could consider a merger later with the Murdochs' publishing company, News Corp., the person said. A trust belonging to Fox Executive Chairman Rupert Murdoch and his family would end up with a small stake in Disney in the transaction, said the person, who asked not to be identified because the discussions are private. Fox chief executive officer James Murdoch is likely to be offered a senior position at Disney after the transaction closes, the person said. That would put him in the running as a candidate to eventually succeed Disney CEO Bob Iger. The talks between Disney and Fox, which began more than two months ago, will unite two giants of the entertainment industry and mark a significant turning point for Rupert Murdoch, the mogul who has spent the past seven decades assembling a media empire. A deal will still face regulatory scrutiny in Washington, where the U.S. Justice Department has sued to block another proposed media megamerger between AT&T Inc. and Time Warner Inc.
A deal still hasn't been finalized, and the talks could fall apart. Fox shares rose 1.1 percent to $33.66 at the close in New York. Burbank, California-based Disney climbed 2.5 percent to $106.83. Comcast rose 1.5 percent in late trading after announcing it's no longer pursuing the assets. "When a set of assets like 21st Century Fox's becomes available, it's our responsibility to evaluate if there's a strategic fit that could benefit our company and our shareholders," the cable giant said in a statement. "That's what we tried to do and we are no longer engaged in the review of those assets. We never got the level of engagement needed to make a definitive offer." In addition to Comcast, Verizon Communications Inc. and Sony Corp. have also explored the idea of acquiring the holdings. Fox's studio would give Disney the rights to popular characters such as the X-Men and the Simpsons, and could let the company cut costs by combining two giant Hollywood operations. The Sky stake would give Disney 22.5 million customers in five countries in Europe, with leading advertising technology, and Disney would be likely to seek full control of the satellite provider. Assuming Disney acquires the Fox assets in a stock-based deal, Fox shareholders would end up with about 25 percent of Disney, according to Rosenblatt Securities Inc. The Murdoch family trust holds an economic interest of about 16 percent in New York-based Fox, which would translate to a stake of roughly 5 percent in Disney, according to data compiled by Bloomberg. With speculation mounting that a deal was in the works, the Murdochs — Rupert and his sons Lachlan and James — sent a memo to employees late last week. "We want to address the headlines about us possibly talking to other companies about a potential transaction," the Murdochs said in the Dec. 7 email. "While we can't comment on market speculation, we do want to address the impact we know this is having on all of you. Uncertainty always breeds unease. In every way, our focus is on our businesses and on the welfare of all our colleagues."